Microwave cooking - is it safe? Over 90% of kitchens in the UK contain a microwave cooker, they are seen to be simple to use, convenient, fast and most importantly people are familiar with the technology. Microwave cooking is acknowleged to be the best way to maintain the maximum nutrients in cooked food (see below). 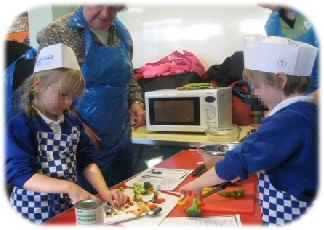 Microwave cookers are a much safer option when getting children involved in cooking, it is also safer for busy parents, as they do not have to 'stand over' the cooker whilst the food cooks. It is energy saving, up to 75% compared with gas/electric, and the cookware you need is also inexpensive. The foods you can't cook in a microwave are the ones we need to cut down on - fried foods and high fat pastry items. Protein foods don’t brown when cooked in a microwave. This reduced oxidation means that nutrients like vitamin A and E are less likely to be destroyed. Potentially dangerous micro-organisms in food tend to thrive in temperatures between 5°C and 60°C. When you use a microwave oven, food can be thawed, cooked and served quickly. So it spends less time in the dangerous temperature zone. 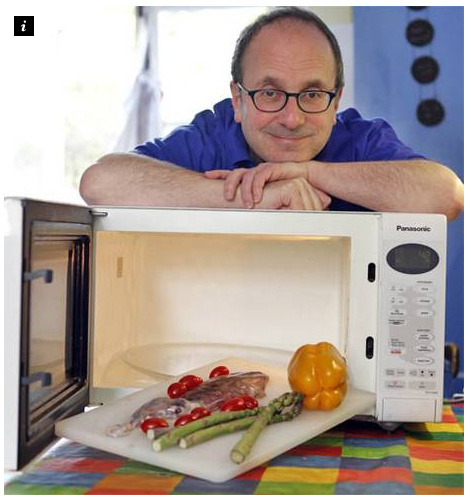 Microwave energy changes the chemical composition of food – not true. The only changes experienced are those caused by fast cooking. There is no evidence of poisonous or dangerous compounds created by microwave energy. Eating food cooked in the microwave exposes you to radiation – not true. As soon as the oven is switched off, there are no longer any microwaves in the oven or the food. Microwave energy is radioactive – not true, it uses the same form of energy as your mobile phone. Microwave energy can’t make the oven, food or anything else radioactive. Extensive research has provided no conclusive evidence that microwave exposure, at any level, either causes or promotes cancer. We do not see this approach as replacing conventional cooking, but as an 'easy way in' for those without the necessary skills/confidence, and in the hope that they will get 'hooked' into making their own, heathier, meals. An intersting article: "Is Cooking in a Microwave Dangerous or Unhealthy"
Teach the world to ping! I will probably murder the next person who tells me that microwave cooking "isn't really cooking". The statement often comes from people who have never used one, or use it only to reheat coffee or "cook" a ready-meal. If they don't want to use a microwave oven, fine. Just don't tell me that it isn't real cooking: it's as real as frying, roasting or grilling. It simply uses a different kind of energy to create heat in food.